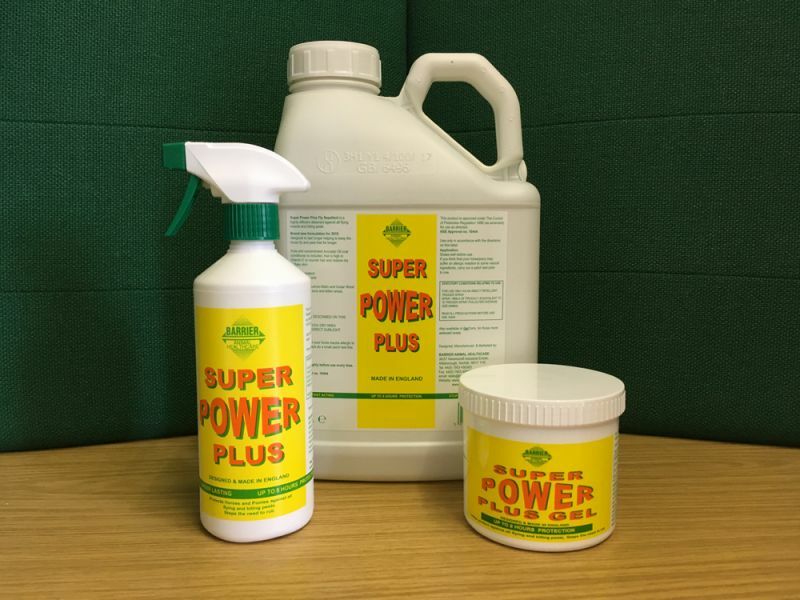 Super Power Plus Fly Repellent is a highly efficient deterrent against all flying insects and biting pests. Brand new formulation for 2018 designed to last longer helping to keep the horse fly and pest free for up to 8 hours. Pure and concentrated Avocado Oil coat conditioner is included, that is high in Vitamin A, D & E to nourish hair and dry or flaky skin. Also contains Lemon Balm and Cedar wood Oil to soothe sore and bitten areas and stop the need to rub.